In the past week, the Oakland Police Department (OPD) and the California Department of Corrections and Rehabilitation (CDCR) released strategic plans they claim would have thoroughgoing and sustainable impacts on public safety. These reports join the Obama administration’s National Drug Control Strategy, which makes many of the same claims. What is interesting about all three of these plans are their attempts to subsume the language, ideas, and struggles of organizations and communities who have indeed worked tirelessly and too often thanklessly against the destructive policies and programs of these very institutions that purport to have all the answers and solutions. But we shouldn’t, and needn’t, get it twisted. The institutions that make up, push forward, and extend the prison industrial complex will continue to do just that, however they might shuffle spending, overhaul management, incorporate new technology, reorganize personnel, subsume peoples’ demands, or call old things by new names. Surely it is significant that these agencies and institutions are shaken and bowed by the fights put to them. Strategies certainly do change, but as long as the priority remains containment and control the impact will be continued state violence on local, national, and international levels. 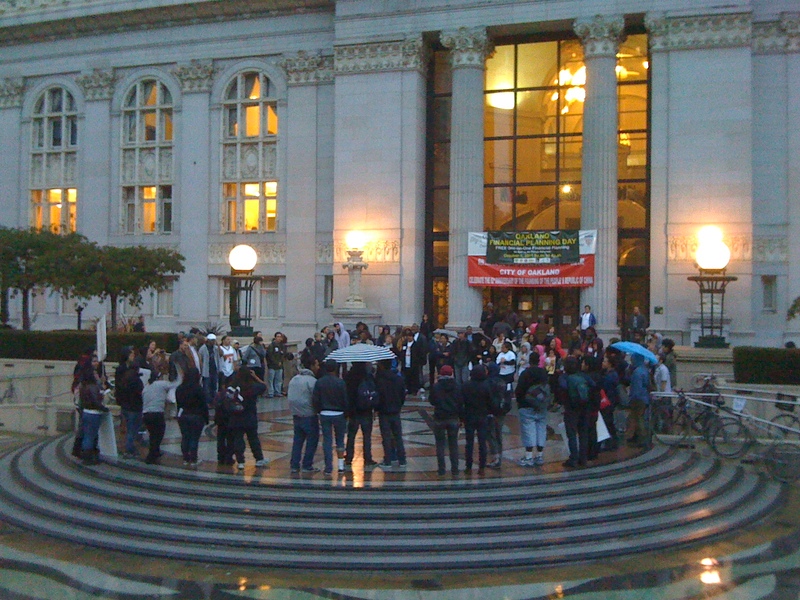 While the OPD and the Mayor’s similar “100 Block Plan” have plenty of good rhetoric around mixed approaches, intervention and outreach strategies, community input, programming, and engagement, at the end of the day both plans call for more police, more police tools and toys, wider and more intense surveillance technology, stronger collaboration with federal agencies, and broader war against nebulously defined gangs. The CDCR’s plan talks about prison crisis and sweeping reforms including substantial cutbacks in spending, some extension of services for people in prison and on parole, and the return of nearly 10,000 people being caged in private prisons across the country to California. But as we read deeper we find more money for prison construction, woefully inadequate population reduction measures, an actual increase in population levels, and no changes to the torturous Security Housing or Administrative Segregation Units. Obama’s National Drug Control Strategy is more of the same, with big talk around changing attitudes toward drug addiction, widening treatment options, and promoting harm reduction over imprisonment. But the stick quickly smashes the carrot as the report unfolds to reveal more low-level arrests, a beefed up (if PR-friendly) DEA, rampant surveillance, and continued militarization of the border. People want to feel safe. And people want peace. Murders in Oakland have traumatized countless residents and the calls for an end to the violence are loud and clear. People living inside of cages in California’s prison system want access to basic healthcare and educational programing and an end to suffocating crowding levels. Across the country, people struggling with addiction want to get healthy and want programs that help them to do that in humane and sustainable ways. The more clearly we understand how people’s problems are related to the conditions under which they live—how violence, substance abuse, and imprisonment are intimately related to poverty, racism, and dispossession—the more clearly we can understand how policing, surveillance, militarization, and imprisonment help these oppressive economic and social systems thrive. And that they can never truly address, let alone solve the problems they create. The powerful words of Audre Lorde ring louder than ever: “the master’s tools will never dismantle the master’s house.” Luckily, the tougher times get, the harder people fight. Here’s to all you fighters.